Whole House Surge Protection - Edison Electric, Inc.
March Madness is well under way and if you’re a sports fanatic, this is an exciting time! Before you kick back and watch the game on your new LED flat screen television, remember to plug it into a high quality surge protector. While you’re at it, consider having whole house surge protection installed at your main electrical panel too… Edison Electric is offering $25.00 off whole house surge protection until May 1. Tier 1: Point of use. Point of use surge strips are used to suppress the surges that develop from the inside of your home. A good point of use surge strip can be found at your local box store – be sure to do your research, read reviews and read over the connected equipment warranty. Like anything else, you get what you pay for. outside the walls of your home. Nearby lightning strikes and poor power quality from your utility provider are an example of culprits that will burn up the motherboard in your flat screen, garage door opener and washing machine. The two tier approach to surge protection is the best way to ensure that your electronics have the ultimate protection. 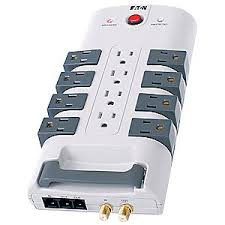 Investing in whole house surge protection may not win you your sweet sixteen bracket but it will ensure that you get the most value out of your flat screen television, dimmer switches, washer/dryer, tablets and laptops. 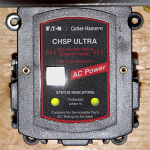 Give us a call and have your whole house surge protector installed today! 612-385-7864 or visit us on Facebook!